Surviving at DragonCon – Updated for 2016! Following my Pre-Planning post…We’re 27-ish days from DragonCon, and this may be your first year going! Never to fret, Dragon is the most nerd-friendly place! Get ready to hang out with 65,000 of your closest (new) friends! Labor Day weekend in Atlanta is busy – and HOT. There are several things going on in town that weekend, and with these tricks you’ll do just fine. 1 – Pre-Plan: That’s right, pre-plan. You should already be doing this. You should also start taking Vitamin C supplements (you’ll read why further down). By now you should have your room situation taken care of and your badge purchased. If not, you still can or you can get them online for $130 (until 8/19, then they’re $150 online). Tickets are $130 on site so do not buy it at the higher price. Also if you’re doing celeb photos, you should pre-pay them online from Epic Photo Ops. I believe they do on-site sales as well. If you’re driving, you should already go ahead and scope out what parking lots are around the con on-line. They can range from $3/day (uncovered) to garages that are $18/day (covered), and even hotel parking which I do NOT recommend, as it’s $30-35/day and that’s just crazy. All of the hotels have a service where you can unload your gear and have it set aside in the lobby while you go find parking. If you’re flying, check out what route on the MARTA you need to take and if you’re having someone meet you at the airport, schedule your meetups. 2 – Pack: Packing is essential. Veterans have become masters of suitcase and car-tetris. With as many costumes as some of us bring, it’s vital. In the past I’ve written a short packing list that you can check out. I recommend packing short sleeves and shorts, jeans, and COMFORTABLE SHOES as your mundane clothes. You don’t have to go outside normally, but there is programming in both the Westin and Sheraton that you have to walk to. It’s only a couple of blocks for either. Same goes for the Vendor Hall, which has been in the AmericasMart across the street from the Hyatt. 3 – Arrival: You made it! Now you need to meet up with your room holder (unless that’s you), and get your stuff up to your room. Take a few minutes, relax, BREATHE. Shenanigans are already happening (and do 24/7 pretty much). Unpack, get a nap in (you’ll need it), get some food. Now that you’re at DragonCon, you’ll need to do some things…. The Hilton, Marriott, and Hyatt all connect to each other via skyways. You can also reach the Peachtree Center food court through the Hyatt and Marriott. Pick up your badge. Badge pickup is located in the Sheraton. 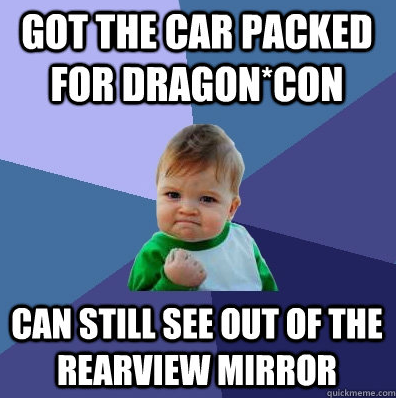 DragonCon staff have their stuff together and for the last few years it’s been pretty speedy. If you have your barcoded postcard, bring it! If you need to purchase a badge, be ready with your ID and money. If you’ve lost your postcard, that’s okay too. Just be ready with a Photo ID. DragonCon has posted an article with the process and the hours of operation here. Plan a schedule. You can pick up a program at the end of registration. It lists all of the events and panels that are going on. They should also be in the app (you can download in the Play Store or App Store). Just keep in mind you’ll probably change this up a bit. Find the ConSuite! It’s open 24 hours, and they provide snacks (and SPAM) and beverages to all convention goers! They are located in the Hyatt in rooms 223 and 226. Personally, I recommend Café Momo for breakfast and dinner as they cost by weight and you can get SO MUCH FOOD for a decent price. It’s hotter than hell in Atlanta, so hydration is super important! There are water fountains in the hotels so I recommend bringing a refillable water bottle. 1+ shower per day… Seriously, no one likes con funk. Don’t be nasty. Don’t accept drinks from strangers. Most people are there to have fun and it’s harmless, but there’s always the risk of someone putting something in a drink. Also, you don’t want to share drinks with people because you’ll end up with Con Crud. That’s right. There’s always someone sick there and it’ll spread like wildfire. No one wants a week long cold right after being on a week-long trip. Just be smart. Also, this is why you should start taking Vitamin C supplements a month ahead if you don’t already. Know your limits. As adults, we’re all going to have fun and probably partake in adult beverages, but don’t get so wasted that you’re puking everywhere and what not. Be smart. Be courteous to people in general – costumed or not. 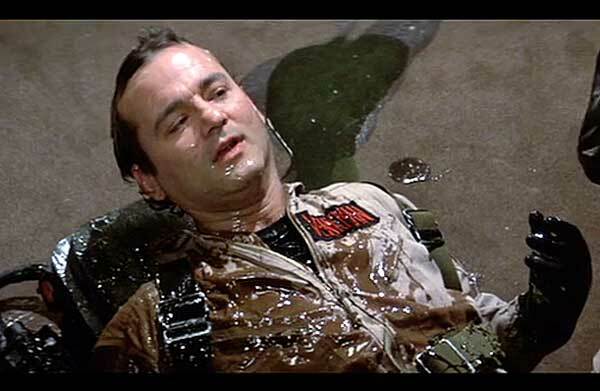 Don’t pull on someone’s Proton Pack or piece of a costume…and don’t be a creeper on someone in costume. Sexual harassment is never okay. Follow the rules of the con. They’re printed on the back of your badge. Make memories! That’s why we’re all here – to have a great time! I can’t wait til DragonCon and I hope to see you there! !